Take a second and do a little detective work next time before using your credit card on any suspicious-looking ATM. That’s the message the Chicago Police Department is telling residents after more than a dozen credit card “skimming” devices were found over the past month on ATMs across the city. The devices, which are placed over and resemble normal card reader slots, capture a user’s information once they swipe their card and sends the data to the scammer. “I’ve been doing this for 30 years and the only way to put scams out of business is to not give them your business. Unfortunately a lot of times consumers aren’t even aware, and it’s working,” said Steve Bernas, president and CEO of the Chicago branch of the Better Business Bureau. Eight of the 13 skimming devices the CPD discovered were at Walgreens ATMs. Two others were found at Fifth Third Bank ATMs and one each was found at a Chase Bank, Associated Bank and 7-Eleven. In addition to the devices themselves, police said the suspect also installed cameras on some machines to record PIN numbers as they were entered. All of the devices were found between late September and last week, according to police. Earlier this summer, Bernas’ office reported on similar devices found on ATMs in Aurora, Yorkville and Batavia. 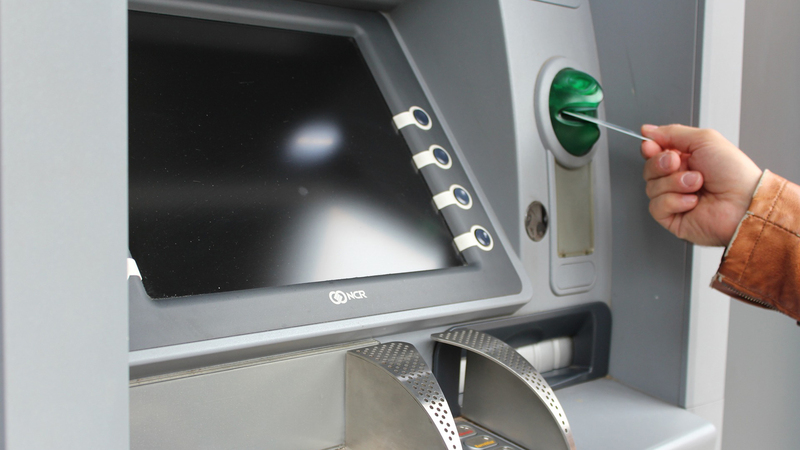 When examining the ATM before use, authorities suggest pulling on both the card slot and the keypad itself – if either is loose, it could be a sign a skimmer or pad overlay has been installed. You should also watch out for any pin holes placed in sight of the keypad (where a camera could be installed) and cover the pad while entering your PIN. The BBB also recommends using a bank ATM rather than stand-alone ATMs installed at other public places, and checking your bank statements more than once a month. If you do notice fraudulent withdrawals from your account, contact your bank immediately. You’ll get your money back, Bernas said, but it’s a frustration for consumers and it can take time to be compensated for lost funds. Anyone with information about these incidents is asked to contact the CPD’s Financial Crimes Unit at 312-746-9661. April 28: The disgraced former Chicago Public Schools CEO will spend 54 months in prison after a federal judge sentenced her Friday for the yearslong kickback scheme she ran while chief of the cash-strapped district. Nov. 10, 2016: A federal grand jury issued a 24-count indictment Thursday charging former U.S. Rep. Aaron Schock with several counts of wire fraud and theft of government funds, among other charges. Oct. 1, 2015: With the over-65 population in the U.S. expected to grow significantly in the coming decades, financial exploitation of senior citizens will increase dramatically, according to a new book.